Beach users gave good reviews Thursday to the just-completed sand replenishment proj­ect that widened Waikiki Beach from the Duke Kahanamoku statue to the Royal Hawaiian Hotel. Star-Advertiser. Riding on three months of strong momentum, Hawaii's tourism industry is already anticipating a healthy summer. Star-Advertiser. A 27 percent gain in visitors from Japan last month bodes well for this weekend’s start of Golden Week, traditionally a high-volume period for Japa­nese tourists in Hawaii. Star-Advertiser. The official at the center of the General Services Administration scandal over a lavish Las Vegas conference was reprimanded in 2011 for appearing in a campaign ad for Sen. Daniel Ino­uye, Roll Call, a Washington, D.C., magazine, reported Thursday. Star-Advertiser. State House and Senate negotiators were still working late Thursday to reach an agreement on the state budget, a stalemate that left dozens of bills in limbo ahead of tonight’s procedural deadline to complete work before the legislative session ends. Star-Advertiser. Passage of the single-most important bill at the Hawaii Legislature is being held up by the single-most controversial bill before lawmakers this session. Civil Beat. A measure that would bring most of Hawaii's 1,600 mainland-incarcerated prisoners back is nearing key deadlines at the Capitol. The trend is already starting. KHON2. The state Legislature will be voting on Hawaiian language mandates in the coming week. Associated Press. Legislators effectively killed a bill Thursday that would have extended the University of Hawaii's controversial exemption from the state procurement code, a move hailed by some as a victory for government fairness and transparency but which UH lamented as likely to increase construction costs. Star-Advertiser. Hawaii lawmakers are poised to pass two bills to overhaul the state's charter school system. But the focus has centered more on what the proposed law says charter schools don't have to do than any new requirements or expectations. Civil Beat. Selling or smoking the synthetic drug "spice" is now a felony in Hawaii. KHON2. Civil Beat has obtained portions of an email exchange between members of the party's State Central Committee conducted between April 10 and April 13 — the latter date just four days before Laura Thielen announced that she would run in the primary without the party's blessing. Civil Beat. The International Longshore and Warehouse Union has its first woman president. Hawaii Public Radio. About 9,000 U.S. Marines stationed on Okinawa will be moved to Hawaii, Guam and other locations in the Asia-Pacific under a U.S.-Japa­nese agreement announced Thursday. Associated Press. Hawaii is one of only two states where consumers won’t see a piece of an estimated $1.3 billion in rebates from health insurers who spent more on administrative expenses and profits than allowed by the federal health care reform act, according to a new analysis by the Kaiser Family Foundation. Pacific Business News. State roundup for April 27. Associated Press. The City and County of Honolulu Department of Environmental Services has issued a moratorium on new sewer connections from Halawa to Pearl City. Hawaii News Now. The state granted owners of the Hale‘iwa Farmers' Market a second extension to vacate the site where they've held the popular weekend event for three years. Star-Advertiser. Honolulu City Councilmember Ann Kobayashi has introduced a bill to amend the historic residential property tax exemption. Hawaii Reporter. The plastic bag ban is still three years from starting, if Mayor Peter Carlisle approves it, but the movement toward biodegradable bags has already begun. Hawaii News Now. Public housing getting modern renovations with private help. KITV4. Nearly four decades since starting a renowned cookie empire, Wally Amos is poised to launch a company using the original recipe that made him Famous Amos. Star-Advertiser. Officials at Southside High School in Fort Smith, Ark., have contacted the Federal Bureau of Investigation and the U.S. Department of Justice after an Oahu travel agent told them via email he had lost $267,500 paid by the school for a summer trip to Waikiki. KITV4. A U.S. representative’s job, congressional candidate Mufi Hannemann told Rotarians Thursday, is to advocate first for state residents. West Hawaii Today. The site of the Big Island’s first geothermal power project may once again be put back to use. Tribune-Herald. Hawaii’s Doppler radars will be shut down, one at a time, beginning in May for upgrades to a next-generation system that will allow for better weather forecasts. Tribune-Herald. We’ve failed: Hawaii County’s air is the second worst, by county, in the country for annual particle pollution, the American Lung Association says. West Hawaii Today. The new hearing officer in the case challenging a University of Hawaii telescope project on Maui is also UH president M.R.C. Greenwood's personal attorney. Civil Beat. Maui Electric Co. is installing new, "smart" power meters that will enable the utility to remotely monitor electricity fed to more than 100 residents taking part in the Maui smart-grid demonstration project. Associated Press. Maui Electric Co. has begun installing new, "smart" power meters in Maui Meadows, enabling the utility to remotely monitor electricity fed to more than 100 residents taking part in the Maui smart-grid demonstration project. Maui News. 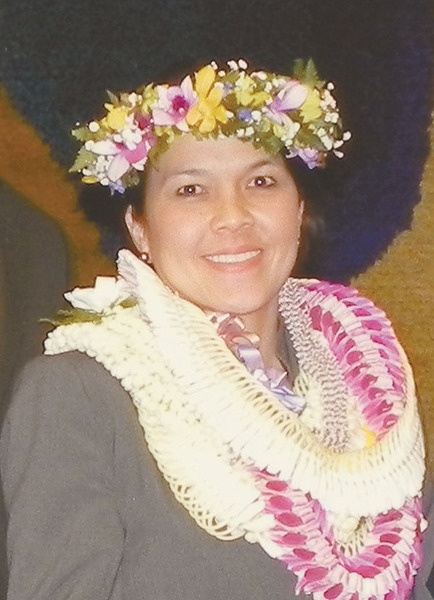 The state Senate confirmed Adrianne Heely on Wednesday as a District Family Court judge for Maui's 2nd Circuit Court. Maui News. 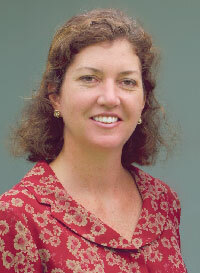 Adrianne Heely has been confirmed as a family court judge on Maui. Associated Press. Maui Judge Joseph E. Cardoza today was named Chief Judge and Administrative Judge for the Second Circuit Court. Maui Now. The long-awaited Courtyard Maui Kahului Airport hotel is set to open in June, a month earlier than previously announced. Maui News. After a few deferrals and various amendments, a bill to regulate solar farms on agricultural lands passed a final vote Wednesday by the Kaua‘i County Council, although some council members wanted more time for scrutiny. Garden Island. The Kaua‘i County Council on Wednesday unanimously passed a resolution to encourage schools to adopt anti-bullying policies and regulations. Garden Island. Reid Judson is suing Norberto Garcia and Kaua‘i County for alleged negligence in an officer-involved automobile crash. Garden Island. A high-voltage undersea transmission cable planned for Massachusetts has been killed by one of the nation’s major utilities because it would be a “high-risk” installation, too expensive to construct, with too many severe environmental impacts and too difficult to maintain. Molokai Dispatch.